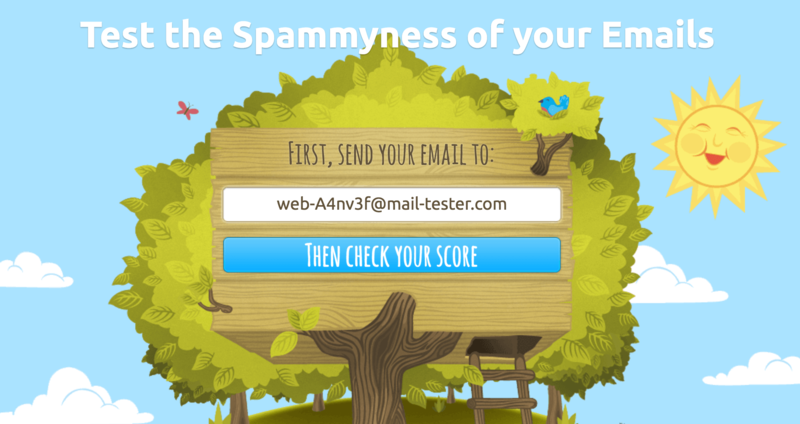 A nice tool to get your email spam score. It works super simple, when you first open the site you see a random email address and you’re requested to send a test email from the email address you want to test to that @mail-tester.com email. After you do that you check your score by clicking the big button on the screen. 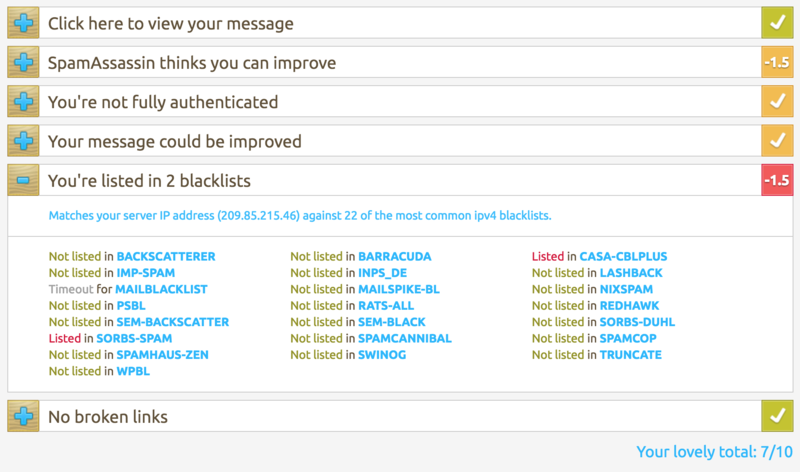 On my gmail address I got a score of 7/10 and below I can see why. That helps!